Apple introduced a suite of new tools to combat smartphone addiction in iOS 12, the new software update for iPhones and iPads that’s now available to download. Parents can also set and manage limits on their kids’ iPhone and iPad use. Apple’s latest software update for iPhones and iPads, iOS 12, is now available to download, and it contains new tools to help you spend less time on your phone. The new features are intended to help people understand how much time they’re spending on their iOS devices. You can now set time limits on certain apps, enable Do Not Disturb while you’re sleeping, and get reports on your smartphone activity. Do Not Disturb during bedtime. Turn on the feature before heading to bed and you won’t see notifications until the next morning. When you pick up your phone during the night, it will only show the time. In the morning, you’ll be “gently eased into your day” – when you’re ready to see all your notifications, tap the screen. Set an end time for Do Not Disturb. By force touching on the Do Not Disturb button in your control center, you’ll now see the option to set a specific end time. Turn off notifications for apps you’re no longer using. Your phone will alert you to apps you haven’t used in a while and allow you to shut off notifications entirely. Grouped notifications. This is a big one! Now, your notifications will be grouped by the app they’re sent from. Now, you can “triage” a whole group of notifications by swiping them away. Screen time. This feature will provide an activity summary that details how you used your iPhone or iPad over the course of a week. 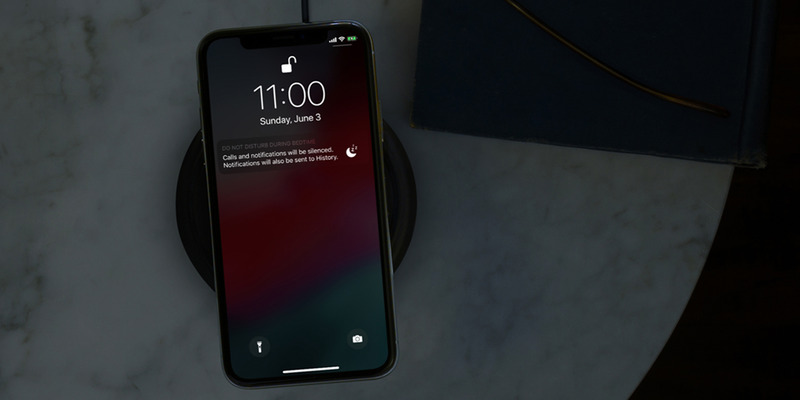 It will provide insight into how much time you’re spending on your phone and where you’re spending it, including which apps you’re using, how many times you pick up your phone, what’s drawing you in, and what’s sending you the most notifications. App limits. You’ll be able to set time limits for individual apps. When you spend a lot of time on an app like Instagram, your phone will send you an alert saying “5 minutes left on Instagram today.” Once you’ve reached your limit, you’ll see a notification telling you to move on. New parental controls. Parents will now be able to get notifications about their kids’ smartphone use. They will be able to set limits for how long their kids are using certain apps, and cut off access to apps that aren’t age appropriate.